On 30 June 2017 Sikorsky UH-60M Black Hawk helicopter NA-703 of the Taiwanese Ministry of the Interior National Airborne Service Corps (NASC) was conducted a Search and Rescue (SAR) training mission off Taichung Harbour, Taiwan. During the third hosting operation the hook assembly separated from the hoist cable, causing two rescuers to fall into the sea. The two were recovered by a surface craft. One sustained minor injuries but the other was seriously injured. The Aviation Safety Council (ASC) of Taiwan has released its final report on their investigation in Chinese only. The helicopter was fitted with a Breeze-Eastern BL29900-30-1 hoist. On 28 June 2017, ‘bird caging‘ had been detected on the hoist cable (a phenomenon where several outer strands become loose). The cable was replaced by NASC maintenance personnel. The ASC determined that the hoist hook had been inappropriately assembled doing that maintenance. When assembling the hook assembly, the mechanic could not properly bottom the bushing nut to the bearing housing due to the bearing stuck in the bearing housing. A 1.5 mm gap was created between the lower flange bottom surface of the bushing nut and top surface of the bearing housing. The above gap caused the locking screws [to] not properly engage into the castled slots on the bearing housing. 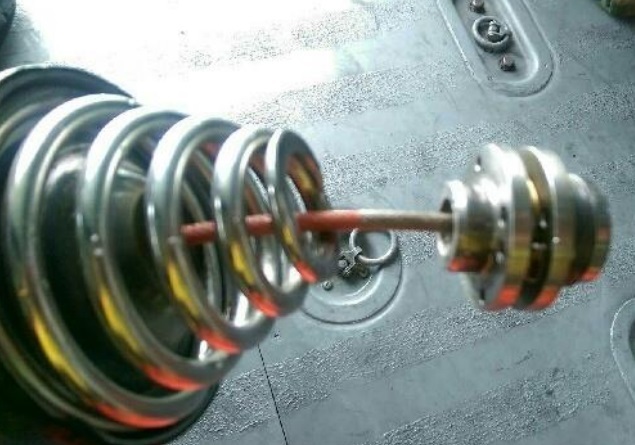 The inspector did not properly check whether the two locking screws were engaged into the castled slots on the bearing housing prior to the completion of the hoist cable replacement. Due to the two locking screws were not properly engaged into the castled slots on the bearing housing, therefore the bearing housing did not lock with the bushing nut. 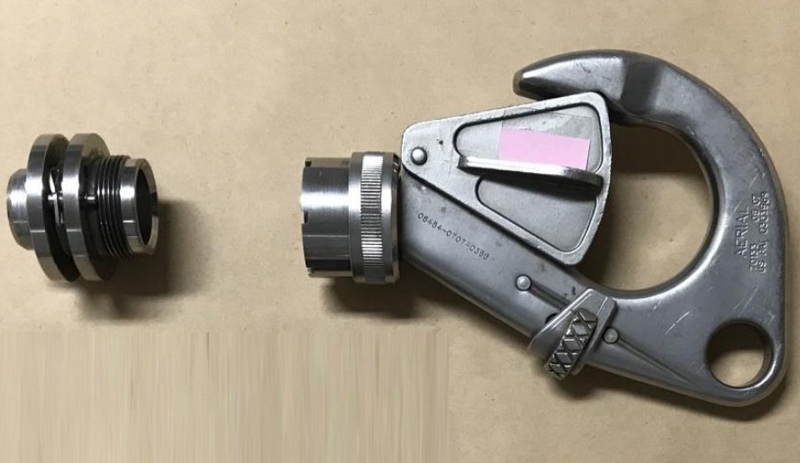 Without lock mechanism, the bearing housing was loosening from the screw threads of bushing nut and separated from the hoist assembly when hook assembly swivelled during hoist retrieving process. 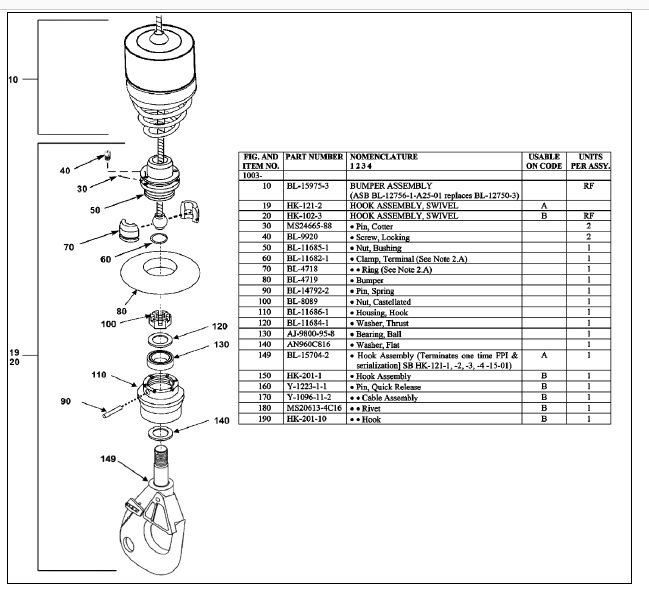 The mechanics and the inspectors neither understood and followed the procedures correctly during assembling nor visually inspected the locking screws were properly engaged into the castled slots on the bearing housing. They misunderstood that the locking screws were properly seated in the castled slots once the cotter pin holes could be seen. 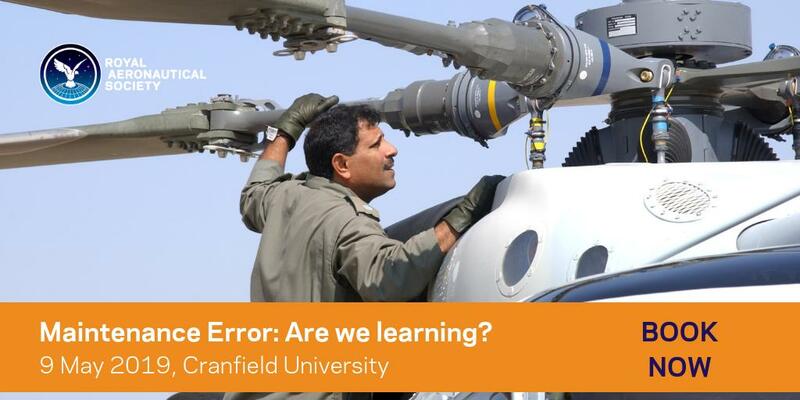 The NASC did not assign a proper quality inspector to perform the hoist maintenance for the occurrence helicopter. The inspector who performed the inspection of the hoist maintenance did not complete the type hoist maintenance training, had limited understanding of the hoist manufacture maintenance manual, and failed to conduct the vital point inspection correctly. Most maintenance manuals adopted by the NASC are in English. The NASC did not establish the English ability requirement and evaluation system of their mechanic[s]. The NASC did not have proper process to integrate/control both technical information from hoist manufacturer and technical manual from aircraft manufacturer regarding the hoist maintenance. The different understanding of how to use the manual existed in NASC different department that disadvantaged the NASC mechanic to use the manual correctly and conduct the training properly. The NASC did not record inspection results of vital point onto rescue hoist maintenance log as required by the hoist manufacturer maintenance manual. There are neither Public Aircraft Oversight Act nor regulations related to safety, operations and management of public aircraft. The existing safety standards and management mechanism of public aircraft were all established by the NASC itself, thus the safety standards and management mechanism of public aircraft might be hindered by the cost, mission requirements or performance consideration. The NASC established a task force “Aviation Safety Commission” instead of a permanent safety division, because of the proposal of such division made by the Ministry of the Interior was denied during the Central Government Agency reorganization process. After reviewing the job function and operation of the Aviation Safety Commission, it is unable to function effectively as a permanent safety division or external audit agency. There were three NASC occurrences in the past. The findings related to the probable causes of these occurrence are not only human errors but also systemic issues such as insufficient training, improper management, and lack of safety procedures. The above findings showed that the task force, Aviation Safety Commission, was unable to function effectively and cover the internal safety management and external safety oversight. Establish standard procedures and enhance training to prevent the external force damage to the part/assembly from its disassembling to assembling. Ensure all mechanics understand maintenance manual and perform maintenance procedures correctly. Consider to provide mechanics with checklists of complex or easily misunderstanding procedures and vital point inspections. . Enhance training preparations prior to the manufacturer conducting the training to promote effective training result, including: require trainees to pre-study manuals and get familiar with parts diagrams, name and number of parts; prepare diagrams, flow chart or vital point inspections for complex or easily misunderstanding procedures; assign qualified translator or mechanics to assist foreign instructors in course teaching. Evaluate and set requirements for mechanics on adequate English ability to assure procedures understanding and maintenance quality. 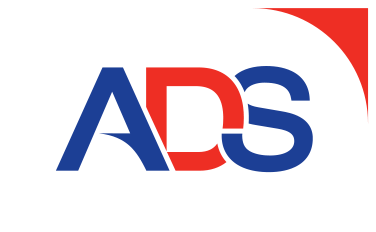 Review and improve inspectors job assignment procedure and quality control ability. Properly integrate and control the usage of the component maintenance manual and aircraft maintenance manual regarding the hoist maintenance to benefit maintenance practice and training purpose. Enhance the control process of maintenance procedure changes as well as notification of such changes. Activate change management process accordingly when necessary. Provide all related supporting measures and complete required approval process. Lastly, ensure all relevant personnel have common understanding to the scale of change. Re-exam the organizational structure and operating effectiveness of the task force, Aviation Safety Commission, NASC. Assist the NASC, Ministry of the Interior to establish a formal Safety Management Division to enhance internal safety management. 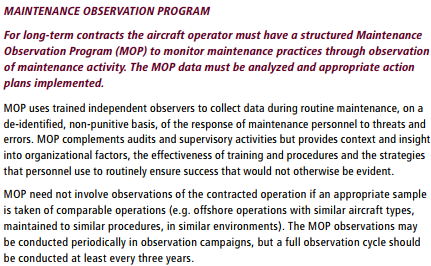 Establish a formal, full time and effective safety oversight system to improve public aircraft aviation safety. The European Aviation Safety Agency (EASA) is sponsoring a safety promotion activity on hoist operations. 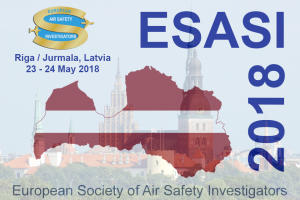 Aerossurance is pleased to sponsor the 9th European Society of Air Safety Investigators (ESASI) Regional Seminar in Riga, Latvia 23 and 24 May 2018.